Mix reactions and mix evaluations. I think those would be the best words to describe the K anime franchise. There's a lot of love out there, and a lot of rage as well. Some say that the second season is far inferior than the first, while some say that the second installment is better than the first one. I can't say which is better since I do love the manga adaptation more than the anime. Return of the Kings is the direct sequel of the movie. Watching and jumping straight to the second season is not the best idea at all - I know some did this but sometimes it doesn't work on all anime franchise. The story runs on a pace that not everyone can catch up to it, especially to those who likes to skip the thrills and keep on the trend. I have watched the first season of the anime, it is very interesting that it made me stick to wait and pray for a second season right after enjoying the movie. 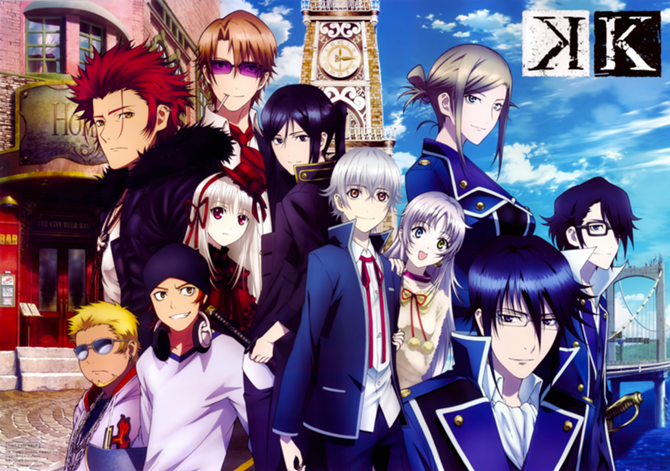 As expected the budget for Return of the Kings didn't diminish, the fan base grew and so as the budget for 3 years but their return to the anime screen is a big disappointment to me. I personally think that it is how the director tried to roll the film in a not understandable manner. There's something wrong and somehow you can tell it if you have read the manga adaptation. The manga was more precise, the second season wasn't. I am not saying that I hate the K anime franchise. Also, I am not comparing the first and the second season even though I am disappointed on the second one. Both installments are great, don't get me wrong.